Anyone who follows our blog will know that we don’t own a car and travel around the UK primarily by train. We take between fifty and sixty train journeys a year so getting value for money is a big deal for us. There are so many different rail companies and various websites promising cheap fares that we thought it was the right time to share what we have learnt. What is the UK train network? The UK train network contains every public train line in the United Kingdom that has scheduled train services running on it. These lines are operated by a number of different train companies such as Great Northern, Virgin, South Eastern, and many others. When you purchase a ticket from one station to another it is classed as a single journey regardless of how many different operator trains you require. A ticket is required to get from station A to station C and a single ticket for the whole journey is normally purchased. But with ticket splitting it may be cheaper to buy a ticket from station A to station B, then another from station B to station C. This is only possible as long as the train stops at station B, where you do not have to get off. So with split ticketing, as long as your trains stop at the stations marked on your tickets, you can save money by effectively breaking your single journey into cheaper chunks. Don’t forget that all journeys booked via London will include London Underground tickets between the network stations you arrive and depart at. So no need to purchase any extra tube tickets for your journey. How much can you save from ticket splitting? It depends on the route, the train operator, and how far in advance you book but research shows that savings up to 70% can be made on long distance journeys and we regularly save close to 30% on every train trip we book. 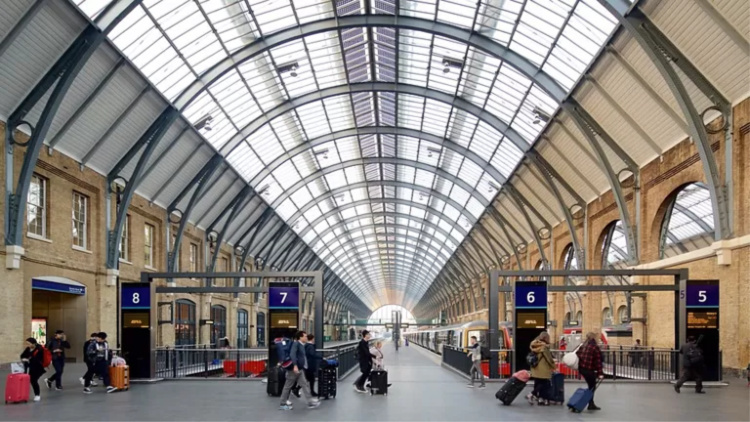 Passengers can get from London’s Kings Cross to Manchester Piccadilly for £57.80 on Friday morning, if they split the fare and stop off at Milton Keynes. Going directly will cost £80 – £22 more. Or, a train from Cheltenham Spa to Edinburgh Waverley on Saturday costs £154 direct, £59.40 more than splitting the ticket and stopping at Manchester Piccadilly, which will cost £94.60. Of course, split ticketing doesn’t save money on every single journey. Peak time journeys tend to be tough to save on as are short trips on single operators. Longer trips on multi-operators will be most likely to offer savings. Totally legal. Ticket splitting is completely legal under the National Rail Conditions of Travel, provided that the train you are traveling on stops at (and does not merely pass through) the departure stations named on your tickets. Do you have to book a long time in advance? You don’t have to but obviously the earlier you book the greater the savings as all operators release batches of differently priced tickets for each route and as each batch is sold the price moves up a notch. Tickets generally go on sale for all operators 12 weeks in advance of the travel date so the earlier you can book the better. What are the downsides to ticket splitting? 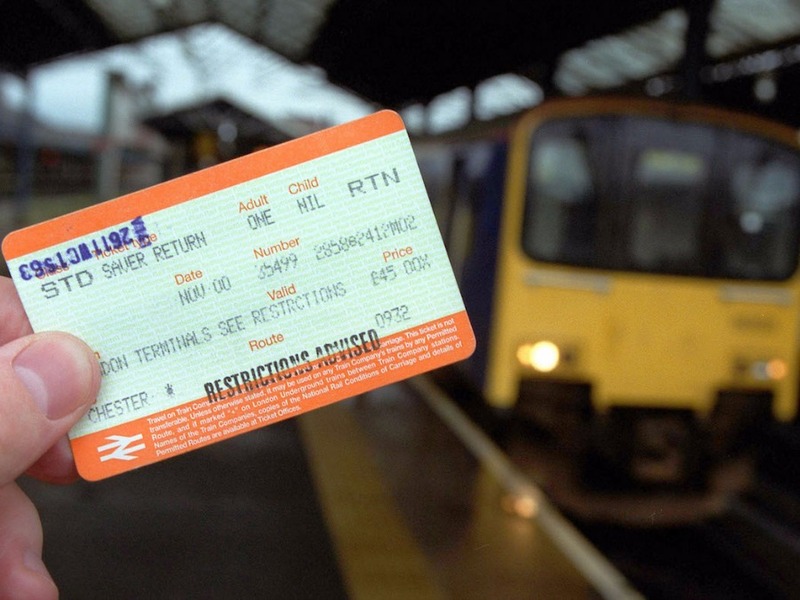 One of the biggest downsides to splitting tickets is the fact that cancellation or amendment fees will be applied per ticket, which means having to pay two admin fees or more if you split the journey in several places, potentially cancelling out the saving you made from splitting your fare in the first place. This only applies if you subsequently cancel of course. Which ticket splitting sites are the best? There are several dedicated ticket splitting sites but we always use Trainsplit.com as it is easy to use and has a wide selection of different options to enable you to tailor you journey appropriately. The Trainsplit site is so easy to use, just put in the stations you are going from and to, date and time of travel, one way or return, number of passengers, and railcard if used. You will get a range of different journeys returned to select from. Once you’ve selected one and paid you get a booking number that you can use to pickup your tickets. There are many others available of course such as Splitticketing, Raileasy, SplityourTicket, and Ticketclever but most of them actually use the same ticket ordering site behind the scenes. 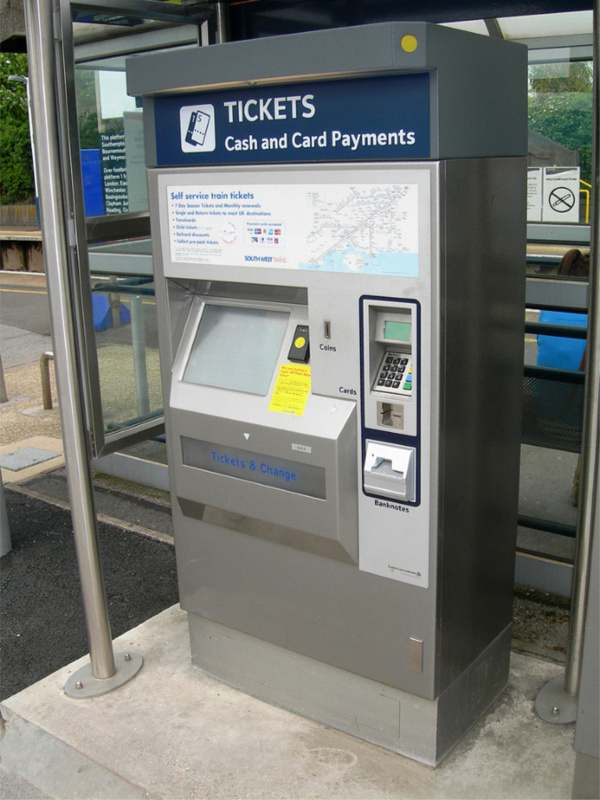 Almost every station in the UK has a ticket machine where you can collect your tickets. Once you have booked your tickets online via one of the ticket-splitting sites you are given a booking number. If you use that number and the debit/credit card the booking was made with, then you can collect all of your tickets at any ticket machine. We have found that even though the online booking process requests that you select a station to collect tickets from, it doesn’t make any difference. You can collect them from anywhere. Don’t follow our example here and collect 6 or 7 sets of pre-booked tickets in one go as it really upsets other passengers queuing politely behind you! Is it worth buying a travelcard? In a word, Yes. If you are planning on taking more than 4 or 5 journeys in a year I think it is well worth getting whichever railcard is applicable. We have a TwoTogether railcard which takes up to 30% off the ticket price and the only restriction is that we have to travel together. There are several different cards so it’s worth seeing which one fits your needs. How to save money on train travel? 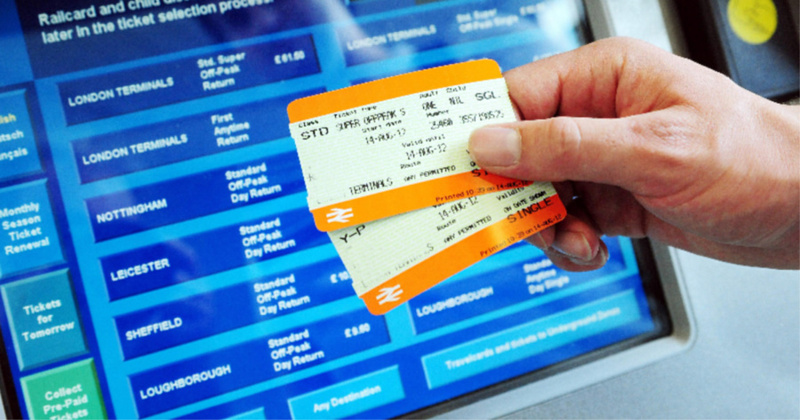 Train companies DO NOT advertise split ticketing so you will always pay more at ticket offices. Booking tickets in advance leads to the greatest savings. Off-peak travel is always cheaper. Get a railcard if you can and save up to 30% more. Don’t book tickets on Trainline or National Rail sites. Use a split ticketing site. We have saved hundreds of pounds booking all of our train travel in the UK via split ticketing. Give it a try. Previous What does a vagabond wear to a wedding? 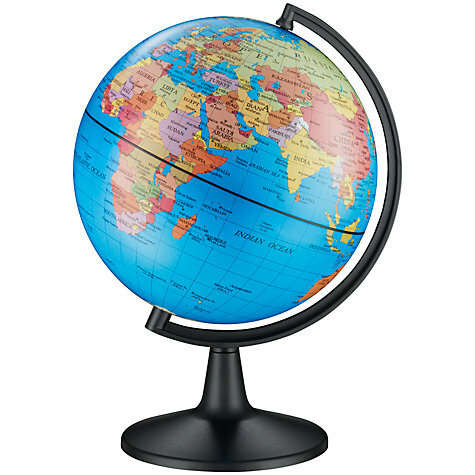 Next Our top ten reasons why full time travel isn’t all it’s cracked up to be! Hope so, wasn’t too sure about this post as don’t really do these info-type ones very often. Could be a bit boring . Thanks, you can never be sure till its out there can you? No we never hire cars in the UK. The rail network gets pretty much everywhere I think, if not we do local buses. Never had a problem. are ridiculous even at ‘savings’ prices, effectively putting many off using them. But I guess that’s for another day! A good bit of advice here – thanks for the suggestions. They’re very inconsistent between companies but we just do the best with what we’ve got don’t we? We go everywhere by train. It can be very complicated but I enjoy the train and do use it occasionally. There’s something about a train journey a car doesn’t have. We don’t have a car so it’s the train or shanks pony. It is relaxing though and you can just sit back and enjoy the journey. Very much so and actually see the scenery unlike a car! Thank you for the great information. I cannot believe that I have been buying tickets from Trainline for years without knowing about this! You’re not the only one Nick, give ticket splitting a try. You may find you save enough to see yet another west end show! I did just use trainsplit and saved £9.80 on a ticket that would have been £42. Thank you for the heads up! That’s great Nick, every little helps doesn’t it? We’ve saved hundreds of pounds using it just this year. Spread the word. 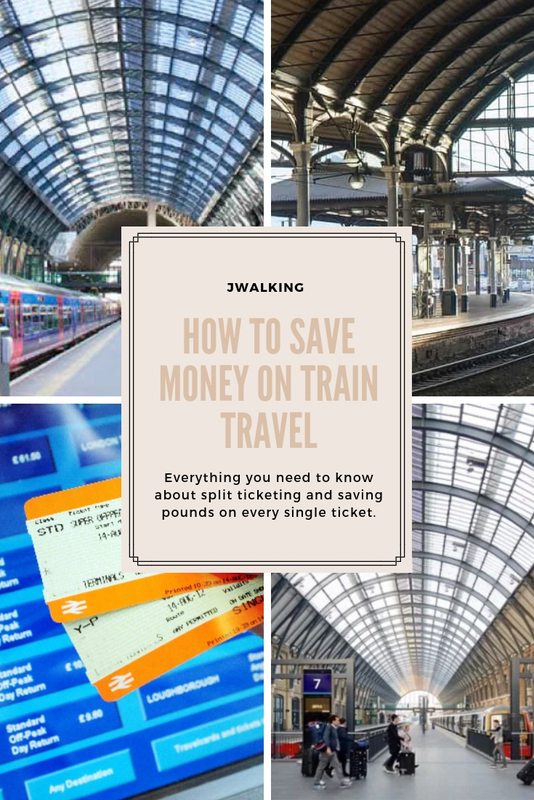 We both have Ancient Folks Railcards which also give us 30% reductions as we use trains most of the time, and always buy in advance, other than short journeys. 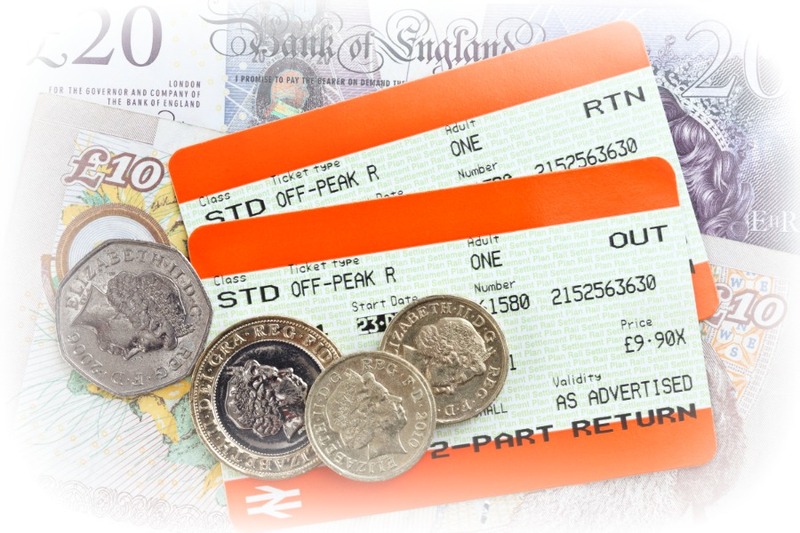 Even without ticket splitting, it often makes travel much cheaper than using a car! I think railcards are essential if you do more than a handful of journeys a year. 30% is a lot of cash isn’t it? It soon pays for itself, yes. I dint think many people have heard of it to be honest, just thought it was time to share some useful info with everyone. Might help a few save some money, you never know. Love a bit of train travel. Anyone with a Tesco Clubcard can use rewards on the ticket site RedSpottedHanky. 5 reward points get £15 to spend on tickets. You can also cash in points to buy a 2 together travel card. Setting up ticket alerts on Trainline or Loco2 for when the cheaper advance tickets are available is very useful. I didn’t know there were actual sites to help you do this – very useful. I found out because someone at the ticket office told me (while also telling me he wasn’t supposed to tell me) that it was about half the price to buy returns Glasgow-Perth and Perth-Dundee rather than Glasgow-Dundee. It’s a crazy system! Completely crazy and too complicated for its own good. I’ve heard about split tickets before but it sounded complicated – I didn’t know there were sites that did it for you! Will definitely look into this as I often travel by train… I much prefer it to driving! So much more relaxing isn’t it? We don’t own a car so the train takes us everywhere and split ticketing makes it so much cheaper. Give it a go Kate.